Strawberry Farms Hole 3 (right): Long one-shotter over a hazard that wraps around the left side of the green. Plenty of bail out room to the right, but the chip from there is less than easy due to an undulating green. Back-left pin placements are very difficult. Strawberry Farms Hole 10: Definitely the most aesthetically pleasing hole on the golf course, the drive from an elevated tee box must avoid the reservoir that runs the length of the left side of the hole. A choice makes the golfer choose to hit iron of the tee, which leaves a longer approach shot, and brings more fairway bunkers into play, or hit the driver, which avoids the trouble short, but, if errant, will lead to double bogey for sure. The approach must avoid the large bunker front left or the reservoir farther left. Strawberry Farms Hole 16: Very short par 5 where a decent drive allows going for the green in two very possible. A large tree sitting at the edge of the hazard that splits the fairway about 80 yards out makes the decision a little more difficult and the reservoir will come into play if the shot is flat out pulled. If played as three shots, the hole is easy par with a large, inviting green. 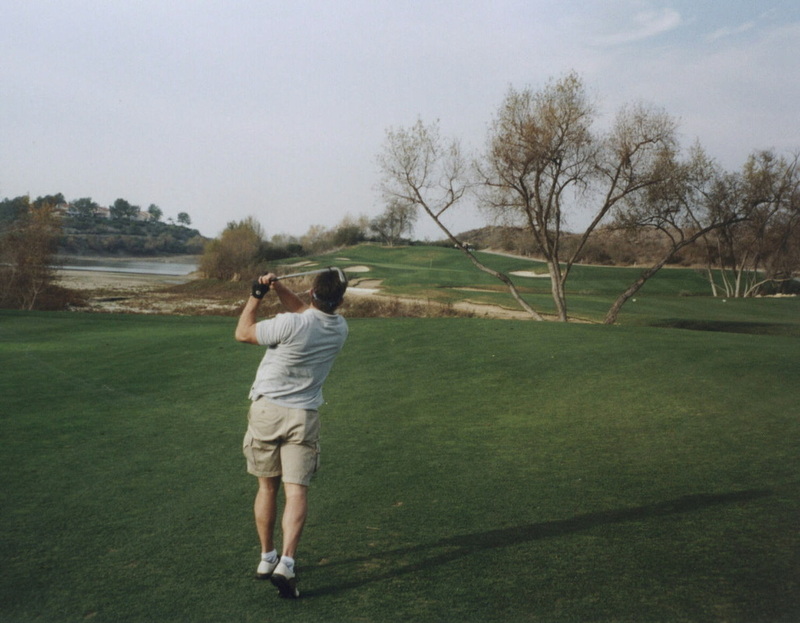 Read More California Golf Reviews.